The beach is a few kilometres long and on average more than 100 meters wide. It is very well knows for the quality of its thin sand, that is optimal for walks and for the practice of “nordic walking”. The breezy climate and the therapeutic qualities of the iodine and the sand make this beach famous for psammotherapic practices and for amazing sunbaths. Thanks to paved paths, the accesses to the seaside, the beach facility itself, the bar, the restaurant, the restrooms and the changing cabins is guaranteed also to the handicapped. Moreover, the beach has surveillance and lifeguards services. 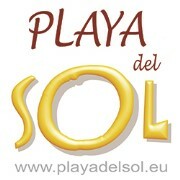 You will never get bored at PLAYA DELSOL!